← What is a Rate Review for Health Insurance Companies? As Access Health CT prepares to enter its third Open Enrollment period this fall, it is important to look at how the state’s health exchange has performed and what lies ahead. 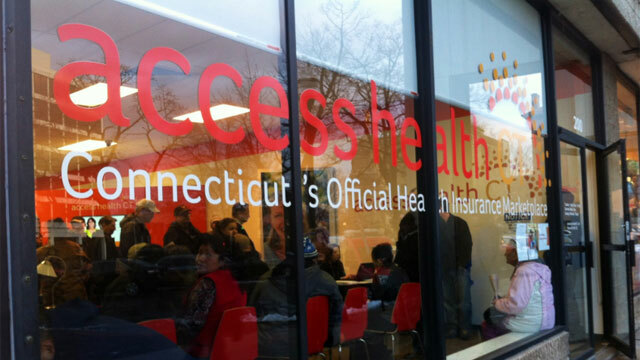 Access Health CT has often been cited as a successful state-run exchange at a time when many states have struggled to enroll uninsured residents. Some have decided to purchase services from other states, as Maryland has done with Connecticut, or have given up their state-run marketplaces in favor of one run by the federal government. Let’s take a look at the Access Health’s success so far and what’s coming next. Robert B. Hackey, a professor of health policy and management at Providence College, wrote in an Op-Ed in the Hartford Courant this week that Access Health CT is a leader among the exchanges. Connecticut signed up 109,839 people for coverage in 2015. Customers on the exchange increased by 39 percent from 2014 to 2015, outpacing growth in many states. Health insurance premiums increased by an average of 0.60 percent from 2014 to 2015, compared to a 2.9 percent average premium increase nationwide. The state’s exchange does have some hurdles ahead, though. First is the effect of a budget cut to HUSKY, the state’s Medicaid program. Parental eligibility for HUSKY will be cut, eventually shifting an estimated 23,500 parents from HUSKY to commercial plans. This is not all happening at once, and a large amount will receive 12 months of transitional coverage. Still, around 1,500 parents are facing a loss of Medicaid at the end of August and must be moved to private insurance through Access Health CT. The exchange and the Department of Social Services must work together to make this as seamless and simple as possible for these families. It’s worth noting that other states that have made similar changes in recent years have seen only a fraction of Medicaid recipients keep private care, as shown in this policy brief by Connecticut Health Foundation. Longer term, Access Health CT has been tasked with some new consumer education roles by SB 811, the health care bill passed by the legislature this spring. The exchange must create a website for consumers to compare the quality and prices for various health care services at different hospitals. And, insurers will be required to report what they pay for the most common procedures. Over the next few months, we will provide updates on the progress and performance of Access Health CT. This entry was posted in Max Friedman and tagged Access Health CT. Bookmark the permalink.